"Selfitis" - the obsession of taking selfies on smartphones - may be a real disorder that requires treatment, according to a study conducted in India. "Selfitis" - the obsession of taking selfies on smartphones - may be a real disorder that requires treatment, according to a study conducted in India. Researchers at Nottingham Trent University in the UK and the Thiagarajar School of Management (TSM) in Tamil Nadu began investigating the phenomenon after a hoax story appeared in the media in 2014 claiming 'selfitis' had been classed as a genuine mental disorder by the American Psychiatric Association. They have now confirmed its existence and developed the 'Selfitis Behaviour Scale' which can be used to assess its severity. The scale was developed using a large number of focus groups with 200 participants and the scale was tested via a survey of 400 participants. Participants were based in India because the country has the most users on Facebook, as well as the highest number of deaths as a result of trying to take selfies in dangerous locations. The findings, published in the International Journal of Mental Health and Addiction confirmed that there are three levels of selfitis. Borderline is defined as taking selfies at least three times a day but not posting them on social media. 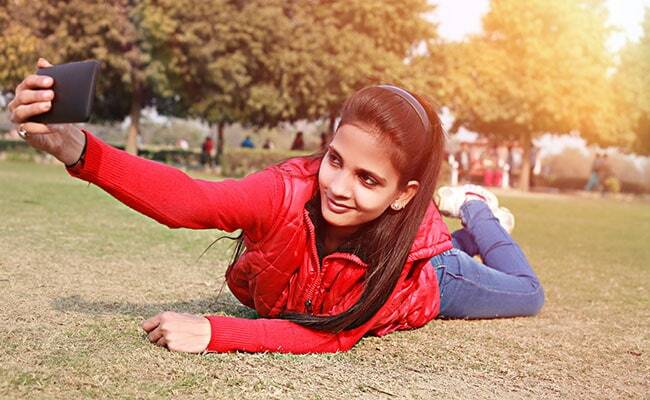 Acute selfitis describes taking selfies at least three times a day and posting each one on social media. Chronic selfitis is the uncontrollable urge to take photos of one self round the clock and posting the photos on social media more than six times a day, researchers said. Six motivating factors were identified, with selfitis sufferers typically seeking to increase their self-confidence, seek attention, improve their mood, connect with the environment around them (to create a record of memories), increase their conformity with the social group around them, as well as being socially competitive. The prevalence of these factors determined the level of selfitis severity. "A few years ago, stories appeared in the media claiming that the condition of selfitis was to be classed as a mental disorder by the American Psychiatric Association," said Mark Griffiths, from Nottingham Trent University. "While the story was revealed to be a hoax, it did not mean that the condition of selfitis did not exist," Griffiths said. "We have now appeared to confirm its existence and developed the world's first Selfitis Behaviour Scale to assess the condition," he said. "Typically, those with the condition suffer from a lack of self-confidence and are seeking to 'fit in' with those around them, and may display symptoms similar to other potentially addictive behaviours," said Janarthanan Balakrishnan, assistant professor at TSM. "Now the existence of the condition appears to have been confirmed, it is hoped that further research will be carried out to understand more about how and why people develop this potentially obsessive behaviour, and what can be done to help people who are the most affected," he said.